We live in an era where inflation is rapidly outpacing income. In recent years, inflation has impacted every essential: food, housing, healthcare, transportation and education, among others. People with regular, fixed income find their earnings insufficient to run a household. Being unemployed is luxury that few can afford. Given this scenario, it is best to open a home based, micro, small or medium enterprise either to augment your income or earn a decent living. Thanks to impetus and facilities offered to budding entrepreneurs nowadays, you can easily start your own business. Launching own business sounds pretty exciting. However, it entails lots of meticulous planning, study and effort. Here are some basic requirements to become an entrepreneur. Sufficient funding either from savings, family and friends, crowd-funding, venture capital or bank loans. 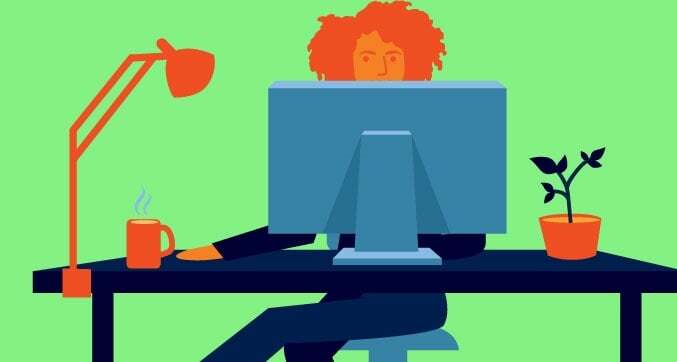 These essentials blended with an entrepreneurial spirit can help you launch a great business online, from home or with a proper infrastructure, depending upon the nature of your venture. We present 160 best, latest & innovative business ideas for online, home, micro and small businesses, which may serve you as a guide to become a successful entrepreneur. 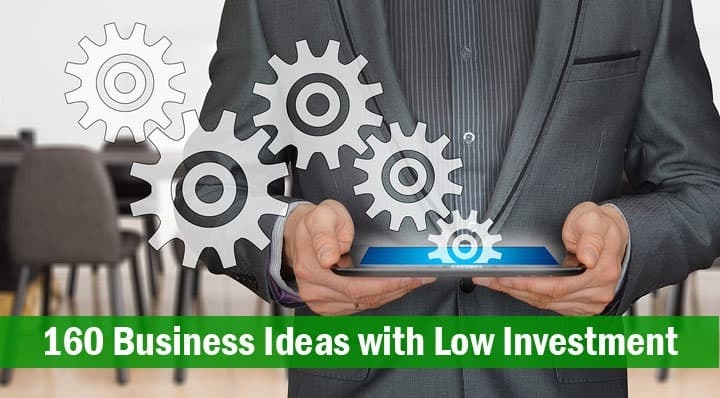 Here are some of the online business ideas you can start with either very low or no investment. This is one of the easiest online business you can start today. You can find number of options in this category and almost all business ideas are without any investment. You can find all these options here. Only thing you need to start this business is training. We have created one of the best training for online business and you can download for free from the above link. You can also write content online for various publications. Websites like Upwork, Elance etc have companies that need content writers. You can take up projects and finish it on time and deliver it. You can also start giving data entry work to others. However you have to take projects from the company who is willing to outsource this job to you. Web designing and coding for various software applications is great IT business. It can be done on small scale level. Minimum investment is Rs.10,000. You need to learn web designing, PHP, WordPress etc. to make quality websites for your clients. There are various ways to get the clients for your business. You can find various web design courses here. SEO related projects are in great demand if you are working with websites and blogs. You can easily make minimum Rs. 50000 to Rs. 1 Lac per month by giving SEO services. You can get some training or practical experience from an SEO company before starting your SEO service business. You can also provide services like social media marketing, SEM etc. Thousands of people all over India are making big money by selling different types of products on sites like Amazon, Flipkart, Snapdeal, eBay etc. Just search for a good product in the market that has good demand or something that you can buy for very cheap & sell at a good margin on these sites. Then become seller on these sites & start selling the products. Everything is simple but initial efforts are required to understand the system. You can start with a minimum investment of Rs.10,000. There are people who are making millions just by publishing interesting videos on YouTube. Not only money, you can also get fame through YouTube. 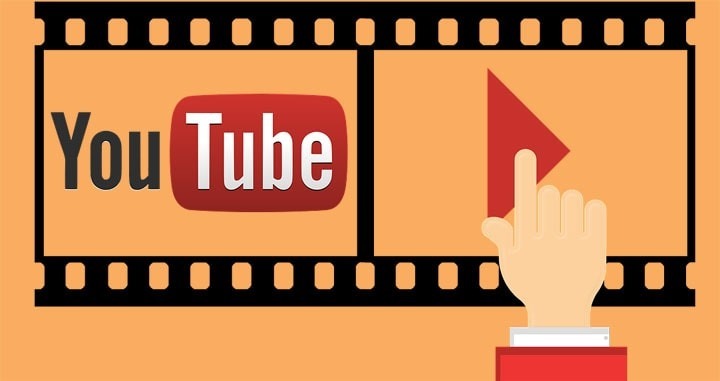 This ultimate money making YouTube guide will show you everything from scratch to start this business. If you have passion for writing and want to publish your book and not getting any publishers then you can write an eBook, publish it online & make money. You can set price and sell online. All the technical details you will learn online. Desktop publishing is very profitable business however you must know how to work with Adobe Photoshop. You also have to hire professional desktop publishers if you are getting customers on daily basis.You will also need an office space. Instead tutoring offline you can do online via Skype. You get paid for every session you conduct. Later you also consult online and make it a full time profession. So these were few online business ideas to start. Opening a street-side breakfast and snack service is the cheapest business idea. You can offer Indian favorites including idli, dosa, omelette, boiled eggs, buns with butter and jam as well as tea and coffee. You can become a handyman by offering a plethora of services such as minor electrical repairs, plumbing, plastering and painting. You can also do handyman services by depositing cheques in banks or waiting in queues for customers. For persons with basic skills in handling the sick, physically challenged and elderly, hospital caregiver is ideal business. Nurses and ward boys will call and inform you whenever anyone requires such service. It fetches between Rs.500 and Rs. 1,000 per shift of 12 hours. All you need is a mobile phone and a contact network to enter business as estate agent. You will look people who want to buy, sell or lease their homes or offices. However, if you wish to take the business to a higher level, you will require an office. I personally know people who make Rs 50,000+ with this business idea. Nowadays, it is common to see people riding a bicycle with a large kettle of hot water, teabags and sugar. They sell tea and coffee to customers. Since they are riding a bicycle, they can circumvent licensing. 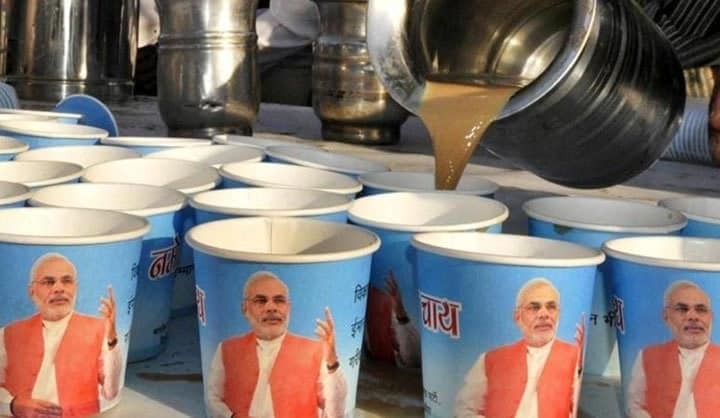 This business idea is making rich to thousands of tea vendors across India. India is a huge market for homemade sweets and savories. Should you know some traditional recipes for popular Indian sweets and savories, prepare them in small quantities. To avoid expensive licensing procedures, you can market them door-to-door. Often, such entrepreneurs find loyal, regular customers provided your products taste excellent and offer value for money. This business is ideal for women who wish to augment their income or make a living. Often, stores also stock such homemade products. Another great business idea you can embark upon by investing Rs.10,000, or a bit more is preparing homemade pickles, jams and sauces. Once again, you need some experience in making these high-demand food products and their recipes. As people grow more health conscious, they wish to avoid mass produced pickles, jams and sauces to avoid ingesting chemicals in the form of artificial colors, flavors and preservatives. India will have around 730 million mobile users by the end of 2017, says the European statistics portal, Statista. This figure clearly indicates the demand for mobile phone repairs and related services will surge exponentially. Inexpensive and sometimes free courses to repair mobile phones are offered by small training institutes and charity organizations. Additionally, you can add services including call credit recharges, fixing protective screens, selling accessories such as headset, mobile covers, electrical chargers, and loading memory cards with popular audios and videos for customers. Fancy beadwork jewelry is a rage among youngsters- both female and male. These include necklaces and bracelets. The demand for creative designs and customized beadwork necklaces and bracelets is indeed high. You can easily buy beads and other basic equipment needed for making beadwork jewelry online from any reputed e-retailer like Amazon. You can sell your creations at colleges, student gatherings, stores and door-to-door. There is great scope for this business idea on Amazon & Flipkart. India has a variety of breads including chapatti and paratha. You can enter this very lucrative business with an investment of just about Rs. 10,000. The toughest part of this trade is kneading dough. However, electrical dough kneaders are available online and in the open market for about Rs. 3,500 each. Chapatti/ paratha press that impart dough the great, circular shape can also be bought below Rs. 1,000. Equipped with a stove, food-grade plastic bags and a sealer, you can launch this home-based business idea. Such chapattis and parathas are patronized by households and stores. Armed with a portable sewing machine that costs about Rs. 5,500, threads of various colors and needles, scissors, measuring tape and other paraphernalia, you can enter the evergreen business of altering clothes. This means, you will have to snipe trousers, denims, dresses, skirts, shirts and motley other apparel to sizes that fit your customer. Later, they have to be stitched with utmost precision to ensure, the alteration is not visible. Yet another business idea you can launch with an investment of about Rs.10,000 is making spice powders. Admittedly, there are several commercial brands available and the competition among them gets hotter by the day. Yet, there are several customers who prefer to buy home-ground spice powders. They buy such spice powders in small quantities but frequently, to ensure they get the freshest stuff. With growing awareness about environment protection, most retail stores do not offer free plastic carry bags to customers anymore. However, to retain clientele, they pack your purchases in paper bags, provided they are strong and sturdy. With an investment as low as Rs. 10,000 you can start a paper bag business. You will require large quantities of scrap newspapers, scissors, good quality glue and ropes. Understandably, there are several top brands in the market, each offering different varieties of chocolate. Additionally, there exists a huge demand for foreign-made chocolates, which are easily available here. However, a niche market for handmade chocolates also exists in India. Because handmade chocolates have unique tastes and flavors do not contain any artificial colors, flavors and preservative. 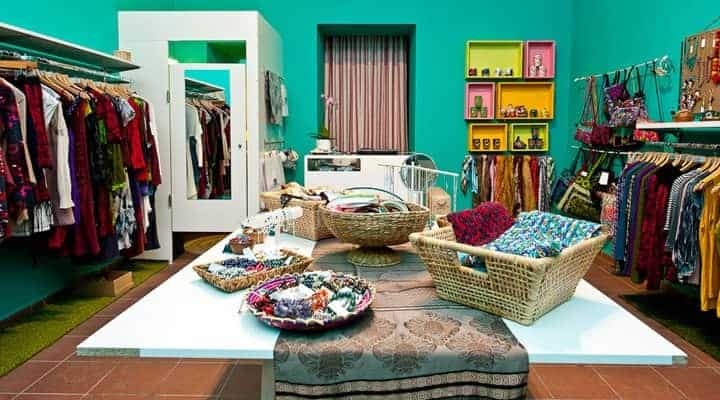 As trends in home décor now shifting to more natural, eco-friendly material, people look for stuff made from wood, mud, stones and other similar material. You can effectively put your creative skills at work by making decorative pottery at home. This does not entail you to make earthen or clay pots. Instead, all you need to do is buy pots of different shapes and sizes and paint them with decorative patterns and creative designs. You can also take orders from individuals and offices for such pots and sell them to top home décor stores. You can take basic trading of stock market or Forex and start this business from home. You need to open a trading account with a sub-broker and start buying & selling stocks through intraday trading. It’s very interesting to make the profit in stock market even if the stock prices fall. Life Insurance Corporation of India as well as other state-owned insurers, private companies look for agents to sell their insurance policies. With minimum investment, a good computer and two-wheeler, you can enter with this business idea that fetches attractive commissions. You can think of this business idea even with a investment of less than Rs. 10,000. However, to earn substantial profits, you will have to launch such a business on a slightly bigger scale. Meaning, you will require helpers to knead the papad dough or boil the mixture for sago fritters to the right consistency. The best part of this business is, you can launch your own unique flavors and tastes of papad and sago fritters, that are rare or unavailable in the market. Companies with shares listed on the stock market, banks, insurance companies and other financial institutions send bulk mail. Under existing laws of the land, they have to send mail containing cheques for dividends, notices and other important documents only through India Post. However, India Post makes it mandatory for bulk mailers to sort mail according to Postal Index Numbers and deliver them to a specified post office in separate bags. With a modest investment of about Rs 25,000 you can open a cooking class from your home. The main cost involved in this business is cooking equipment and food ingredients. Further, you should also possess great culinary skills before venturing into this business idea. In a land rife with superstition, people rely on horoscopes for various reasons- to “know” their future, matrimony, wealth prospects and motley others. 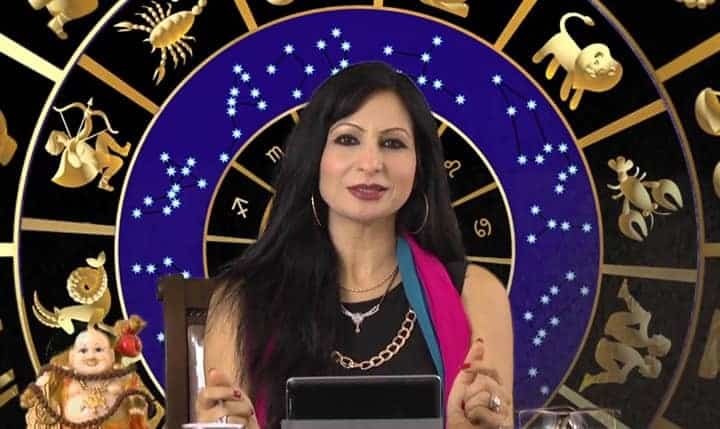 Equipped with a good computer, appropriate software, printer and customized paper, you can offer computerized horoscopes from your home. Great home-based business ideas for professionals in engineering, medicine, law and other specialized fields as well as school teachers and lecturers planning to earn extra income or make a full time profession. Investment here is about Rs. 25,000 which you will spend on stuff such as foldable chairs and tables for students. Businesses, schools and other establishments require customized stationery that bears their corporate identity and logo. This includes letter-heads, envelopes, invoice books, receipt books and other assorted stuff. With a small investment of Rs. 25,000, you can try this evergreen venture. We all have fair ideas about what herbs and oils are great for body and skincare. Get hold of some traditional, time-tested and proven recipes for herbal skincare lotions, facial scrubs, shampoo and other related stuff to embark on this business that requires a minimum investment of about Rs. 25,000. You need not be a plumber for this business idea. All you need to do is invest in plumbing tools and equipment while hiring skilled workers to execute works. Generally, most plumbing work is maintenance and repair of old water lines, taps and other fittings. You will have to pay for these fittings before billing the customer. Invest in the necessary tools and equipment and hire skilled electricians to work for you, whenever needed. This business involves maintenance of electrical connections to a home, office or building. Annual maintenance contracts are available if you provide high quality work. Great home based business idea if you are a bookworm and love to read. Buy the most popular books in the scrap market and rent them out to subscribers. You can invest just about Rs 25,000 in this business. Income is from monthly subscriptions and fees collected for lending the book for one or more days. You can easily cash-in on the growing trend of individuals and families to outsource their daily meals from someone who offers the meal delivery service, commonly called, ‘Tiffin service’ in India. Your main investment for this business idea will be for cooking utensils, foodstuff, packaging material or steel meal boxes and a bicycle or two wheeler for delivery. The main investment for manufacturing exotic bathing soaps is for raw material, molds and specialized vessels to boil the mixtures. Handmade exotic bathing soaps sell for premium at all stores and especially at beauty parlors and fashion boutiques. Regardless, you can launch a incense stick manufacturing business with investment of about Rs.50,000. Hand-rolled incense sticks are in demand and hence, your main expense will be on labor. You can similar small scale manufacturing business ideas here. This is a vastly unexplored business idea in India. Health conscious Indians are switching to fresh vegetable juices made from cucumber, carrot, beetroot, celery, parsley, cilantro, capsicum, broccoli and others. This business idea generally works on made-to-order and home delivery basis. Yet another trending business idea that you can open for as low as Rs.50,000. Making juices from herbs, leaves, roots and fruits that are known for curative and medicinal effects. These juices sell at gyms, spas, jogger parks and other public recreational areas. However, you need to serve them fresh. The only investment you require in this business is for equipment required to maintain and repair air conditioners and refrigerators. You will need to rope in services of qualified air conditioner and refrigeration mechanics who can be paid on work basis only. Setting up a crèche or baby-sitting service is fairly easy but requires adept skills in handling infants and toddlers. Your investment of about Rs.50,000 will suffice to buy playpens, toys and other stuff as well as enlist services of a maid. Ghee, cottage butter and paneer are integral parts of the Indian diet. You can start a small business by making these food products at home, with some basic skills and equipment. They can be marketed directly or through stores. The two south Indian staple foods are now consumed across India. However, few can prepare the mixture of ground grains and cereals to make great tasting idli and dosa. Equipped with a high powered blender, packing material and equipment, you can enter the business of selling readymade idli and dosa batter with an investment of Rs. 50,000 only. A furniture repair business too is fairly easy to set up. Your main investment will be on equipment, varnishes and other essentials for the trade. Hiring skilled craftsmen for repairing furniture will help you embark on this venture. With a reliable pre-owned car and tools needed for vehicle repairs, you can launch a mobile garage. Meaning, people whose vehicles develop technical snags and stall on roads can call you for repairs. You need astute knowledge about car engines and electrical gear on board. With millions of Indian going vegan and avoiding dairy based products, there is a great demand for ice cream made with coconut milk and soy milk. A small and portable vegan smoothie maker is available for about Rs.80,000 while raw material will cost you about Rs. 10,000. Selling aquarium equipment and decorative fish as well as required accessories is a year-round business. Aquariums and fish are bought for home and office décor and given as gifts. You will require good handling skills in this business idea. Ideal for those living in rural areas, mushroom harvesting is a business you can start with just about Rs. 100,000. You need a separate room, wooden crates and mushroom spores as well as water sprayers. Mushroom harvesting in some states get attractive incentives in some Indian states. 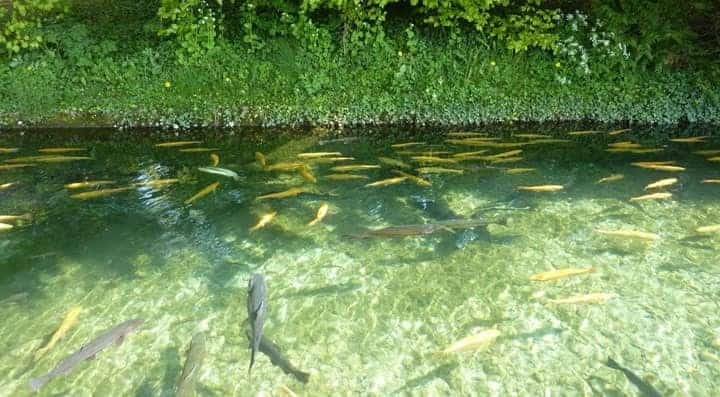 It simply implies breeding and harvesting fish in controlled environment. It is a good business idea for semi-urban and rural areas with investment of about Rs. 100,000. Freshwater fish such as ‘Rohu’, ‘Hilsa’ and ‘Katla’ as well as shrimp are bred in fish farm and sold for high profits. Home delivery of liquor is a growing business idea in India that flourishes 24/7 x 365. With an investment on a scooter and contacts with liquor dealers to buy at wholesale rates, you can reap rich returns with this business. You make a decent profit by selling at market prices plus delivery charges. Unleash your creative skills by making floral bouquets to be given away as gifts at weddings and other special occasions. This is a year-round business, since Indians are renowned for celebrations. However, you need to invest in proper equipment to ensure your flowers do not wither and stay fresh for at least a couple of days. Indians returning home for holidays, seamen and sometimes, foreign tourists carry stuff they can sell here for local currency. This includes T-shirts, fragrances and cosmetics, chocolates, cigarettes and liquor. You will find several eager customers waiting to buy such stuff. Old video recordings of memorable occasions, rare movies and popular audios from yesteryears are on the verge of extinction. Recorders to play them are not easily available. However, latest equipment that costs below Rs. 100,000 allows you to offer digitized versions of these old videos and audios. All businesses require signboards. They are fairly easy to make and install at premises of stores, factories and offices. This is another business idea that is always in demand. You will need some creative instincts to design signboards and skilled helpers for installation. Generally considered a seasonal business idea, painting exteriors and interiors of buildings and houses is booming in India. It does not require much investment since the business depends upon contracts you make with clients. Skilled manpower is vital for this business. This business involves masonry and other aspects related to buildings and houses. Once again, this business also depends upon contracts you sign with customers. Skilled masons, laborers and reliable building material suppliers who offer you credit are vital. Once utilized by banks and commercial establishments, CCTV cameras are now becoming popular among households too. The business idea is fairly easy to open, thanks to easy availability of equipment. Skilled manpower for installation of these CCTV cameras is a must. With over half a dozen Direct-To-Home satellite TV providers in India, you can enter this profitable venture of installing DTH equipment, including the satellite TV dish, transponder and set top box. You will have to buy the stuff from service providers and open market. You also need coaxial cables and signal strength gauges. India has several private cable and Internet providers. They require distributors for their cable TV and Internet services. You get hefty commissions for signing up customers and on monthly subscriptions. Profits are also made on installation of set top box, WiFi routers and other gear. Doctors in rural areas dispense medicines since pharmacies are located far away. With a two-wheeler or a car, you can buy generic medicines at wholesale rates and supply them to doctors in remote villages for a decent profit. Making window grilles, iron doors, aluminum frames and similar stuff is fairly simple. However, these items are required round the year by home owners, businessmen and commercial establishments. Renting a store and buying the necessary equipment will help you launch this business idea. Skilled manpower is needed. For microbiology graduates, this is an ideal home-based business idea to set up with investment of about Rs.500,000. Your main expense will be on lab equipment such as microscopes, centrifuges, chemicals and reagents. India now ranks as the third largest market for automobiles in the world. Hence, the demand for two and four wheeler repairs is bound to rise sharply. With good knowledge of automobiles or by hiring skilled mechanics, you can enter this burgeoning business idea. Thanks to migration of skilled, while-collar persons from other parts of India to metro cities, there is a surge in demand for accommodation services such as paying guest. You can rent a couple of apartments, furnish them appropriately and rent out on ‘per bed’ basis to several individuals. This hitherto unknown trend is becoming rapidly popular in all metro cities of India. Setting up a food truck business requires minimal licensing from authorities. The vehicle and commissary equipment costs between Rs.500,000 to Rs.700,000. Other expenses involved are on food products and raw material. Marriages, birthdays and other occasions are celebrated with feasts. Hence, the year-round demand for good catering services. To get into this business idea, you will have to invest on commissary (kitchen) equipment and hire good chefs and catering crew. Nowadays, even small events such as weddings and company parties enlist the services of event organizers. This is a rather intricate business idea since you have to offer solutions that cater to every need of the entity holding the event. Everyone wants glamorous looking pictures. Those with an eye for detail and creative mind can offer glamour photography services. This can be a fairly expensive business idea since it requires very high resolution camera and other related equipment. You will also have to hire a studio or open your own. The main expense for opening this flourishing business is the space. However, there are countless customers for garden and indoor plants, gardening accessories, potting soil and fertilizers, which add to your profits. With a fairly good sized warehouse and some knowledge, freight forwarding is something you can consider. It is fairly easy yet quite lucrative. Individuals and companies will both patronize your services. Recycling is a business that gets several benefits from the government since it aims at environment protection. A small plastic recycling unit can be opened with an investment of about Rs. 1 million. Often referred to as ‘cold stores’ in India, frozen meat stores stocks products that are not easily found in the market. Yet, their products such as pork ham, bacon and salami as well as cocktail and pork sausages are in huge demand. A street-side coffee shop is a welcome sight to everyone in India. Admittedly, you will compete with some of the big players in the market. However, with some ingenuity and proper pricing, you will not face any dearth of customers. Selling stationery is the safest business idea that you can opt for with an investment of about Rs. 1 million. Everyone needs stationery- from junior Kindergarten students to offices and large corporate houses. Stationery does not have any expiry dates, meaning your merchandise lasts longer. Ostrich and emu meat are gaining ground slowly yet steadily in India. Getting into the ostrich and emu farming business requires some knowledge about poultry management and adequate space in rural areas. Ostrich and emu meat is served at star rated hotels as well as some exclusive niche restaurants. You can make wallets and belts- essential dress accessories for men- with leather or synthetic material. A small production unit with machines and skilled manpower is sufficient to enter this trade. High-end fashion garments are now sold in semi-urban areas of India too. Despite the onslaught by e-retailers, several customers prefer to buy fashion ware at boutiques since it allows them to see the product first hand while trying it out. Nowadays, the concept of beauty parlor has migrated from ‘only females’ to unisex. Meaning, men and women can both avail beauty treatments. With proper equipment and skilled beauticians, a beauty parlor is good business idea within the abovementioned investment range. Again, you will be pitted against some large players in the industry. However, there is always a demand for economical, locally made brands of aerated water and carbonized flavored drinks. A soda factory is fairly easy to set up. You require a good distribution system to ensure success in this business idea. Cricket bats, hockey sticks, footballs and sportswear are common requirements nowadays. You can find sufficient clientele and make profits provided you offer superior quality sports goods. You can add home gym equipment too. Despite the presence of large companies offering renowned brands, locally made bread always draws customers. Additionally, you can also bake cookies, biscuits, cakes and pastries, among other common bakery items, to attract more customers. In India, detergent and washing powder manufacture is open to small scale industries. There are several companies which began manufacturing their products in small industrial sheds but now are national brands. Good quality products will ensure your success. Currently, the toys market in India is dominated by products pouring in from China. You can make a wide range of toys and games for children of all ages. Your success can be assured if you make toys that people can identify with ethnically. Manufacturing medical supplies such as surgical gloves, cotton swabs and rolls, gauze and medical plaster require proper licensing form concerned authorities. Despite, there is an ever growing demand for these products in India, as the healthcare sector booms. The rent for a premises, furniture and office décor as well as computers will not be as high in this business idea. However, you will need sufficient funds to pay for government registrations and registration with airlines, hotels and other travel service providers to open a travel agency. Buy buses to launch your own local sightseeing tours. You will also require good guides who can brief travelers about tourist attractions they visit and give them a short yet detailed tour of the place. Licensing is a must for entering into this business idea. Inherently, organic foods are expensive and still this business idea is in demand. Yet, there is a ever growing market for these fruits, vegetables as well as food grains and other produce. You can open a small but good store offering organic foods. However, such stuff is highly perishable and requires proper storage infrastructure. India pathetically lags behind in logistical chain. You can chip in by launching a trucking company that offers freight carriage between various Indian states and cities or rural areas. Once again, there is no shortage of customers for trucking companies. Buy several cars to launch a rent-a-car company on line with global giants such as Avis and Hertz. Car rentals are popular among both Indian and foreign tourists as well as companies who wish to ferry their important clients, senior officials and business associates. Another business idea that you can start with a car is join the Uber or Ola taxi aggregators. They offer you a fixed daily income, which helps tide over your expenses on fuel and drivers. Additionally, you make great profits on longer routes. For such a huge investment, an apiary may sound rather small business idea. However, the trend nowadays is to buy specific types of honey rather than the commonly available ones from forests. With large space and gardens of exotic plans, you can offer variants of honey made from nectar of various types of flowers. As mentioned earlier, India lags in logistics, causing immense loss of fruits and vegetables every day. You can help curb this wanton wastage by opening a food processing unit. This involves freezing fruits and vegetables, seafood, poultry and meat products. Dehydrated fruit and vegetables also sell well in the market. Glass products are required everywhere- homes, offices, restaurants, labs, hospitals, stores. Opening a glass factory that makes kitchenware, lab requirements and other stuff is something you can eye within the Rs. 10 million investment range. Eggs enriched with Omega-3 fatty acids are expensive and rare. The reason being, special feeds required for the chicken to produce such enriched eggs. You can open a poultry farm specializing in production of Omega-3 enriched eggs. In demand all year round, a liquor shop is excellent business idea. You do not need search for customers. Instead, customers seek you out. However, the business requires lots of licensing and investment. 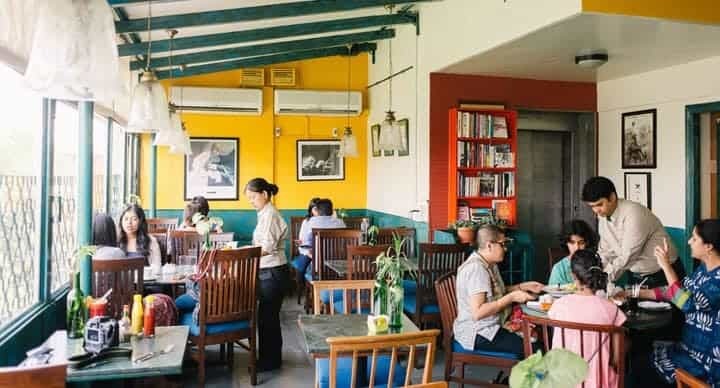 In India, restaurants of all types are well patronized. It is a best business idea to launch but requires over 40 assorted licenses from different departments of the state and Central government. Retaining service crew is vital for this business. Admittedly online retailers are now leading mobile phone sales in India. However, there is a large segment of customers that are wary of online shopping. A mobile phone showroom draws sufficient customers. Buckets, tumblers, cups and other plastic items that are used at homes and offices is something that never runs out of demand. You can open a plastic molding factory and produce these products. India has a scarcity if high-quality manufacturers of hard boiled sugar confectionary. Consequently, their imported equivalents sell briskly in the market and command high prices. This business idea is simple to set up. The electronics and home appliances market is something where online retailers find themselves struggling. This is because people prefer to take a first-hand look at the product. With banks offering credit facilities, you too can open an electronics showroom. With adequate investment, you can open a high-end book store. Top sellers include books for kids and students, reference books for engineering, medical, law studies, story books, dictionaries, encyclopedias and more. Book stores witness brisk sales. Cater to fitness aficionados with your own gym. Though there are several gyms available in every town and city, there is always scope for more, as more people take to fitness regimes. This business idea is expensive to set up. Yet, you can recover your investment within a short period. Thanks to demonetization and increased awareness about online transactions, millions of Indians buy their daily needs online. You too can launch an online store provided you can offer some off-beat products. Always in vogue, computer classes are in demand across the city. This is because India is witnessing a steady boom in computer literacy. Avail of the Skills India schemes to open computer classes for specific skills. As we mention earlier, India is the world’s third largest market for automobiles. The trend will continue and the country will most likely emerge as the world’s biggest market for vehicles. This means, a greater demand for tires of all sizes. This is the right time to enter tire manufacturing. Who does not love a bicycle ride? In cities, bicycling to nearby places is gaining ground while in rural parts a bicycle is the only way to travel. You can exploit this huge market by making bicycles for everyone, from kids to adults, sportspersons to mailmen. Buy or rent a building and convert it into an expensive or budget hotel. Nowadays, people are not mindful of the location, as long as they get the service and comfort they desire. You can promote your hotel and lodging services through web portals such as OYO Rooms or airbnb. Cater to the housing boom in India by opening a ceramic tiles factory. This business idea depends upon machinery and your creativity. Ceramic tiles are used in every premises- homes, offices, hospitals, hotels. There is no shortage of customers. 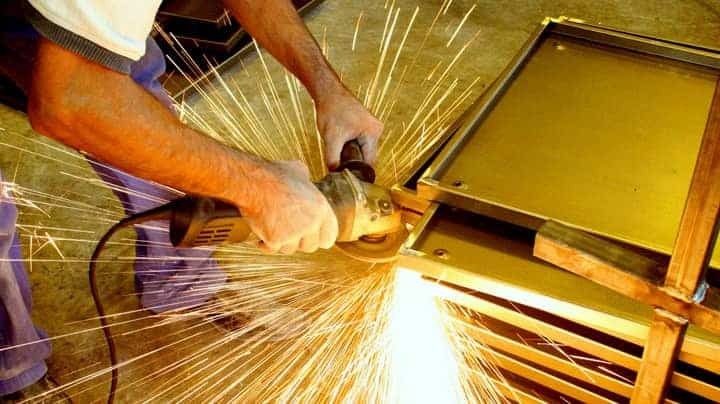 Engineering graduates looking at starting their own venture can consider manufacturing different types of industrial machinery. This field is rather vast and hence, you can choose the industry you wish to serve. Custom made machinery is in greater demand. 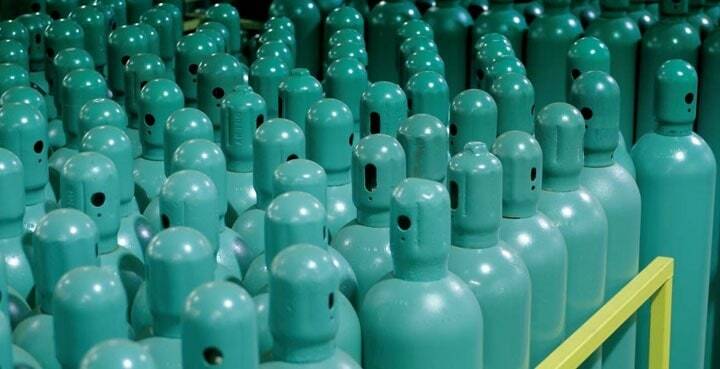 Cylinders loaded with oxygen and other industrial gases are needed across India. However, they are not easily available in certain regions of the country due to lack of manufacturers and distributors. This is one industry that could do well with new entrants. These are paints required for anything that comes in prolonged contact with sea or freshwater. Marine paints are fairly difficult to find in India since they are made by few manufacturers. They are used for painting all types of boats, dhows, ships, trawlers and also for painting quays and harbor installations. Another business idea that is evergreen all times of the year is a gift shop. People look for unique gift concepts and novelties for giving away to celebrants or business associates. You can design unique gifts and sell them through the shop or get a franchise from reputed brands including Archies and Hallmark. Buy antiques from individuals, refurbish and sell them. You can do this online as well as through a showroom. There are lots of antiques that people want to sell, including contemporary furniture, electrical and electronic stuff such as Gramophones, telephone instruments of yesteryears, pens, hip flasks and biscuit tins of colonial era. With the vast culture and traditions of Indian states, the country produces more handicrafts than anywhere in the world. However, customers are unable to find them under a single roof. You can stock popular and off-beat handicrafts from across India and sell them. Despite the presence of big players in this industry, there is huge scope for coir and foam mattress manufacture business idea. The demand is for medium-range brands that can fill in the gap between high-end coir and foam mattresses and pillows made by large companies and similar cotton products made in your neighborhood. With its vast coastline, Exclusive Economic Zone and expansive maritime frontiers, the seas surrounding India are rich in marine life. Owning a modern fishing trawler with underwater cameras and other gadgetry manned by trained crew is the best way to become rich fast. Provide watchmen and bouncers to housing complexes, industries, bars, pubs, halls and other sites by opening a security services company. This is a labor intensive business idea since you will need lots of employees to work as watchmen and bouncers. With a license from the Reserve Bank of India and other authorities, you can open a foreign currency exchange in any major city or tourist destination. Profits in this trade can outstrip many other investments, due to frequent fluctuations in foreign exchange rates in India. Indians are renowned for their 22 Karat gold jewelry use. Cash-in on this year-round market by opening a jewelry showroom. You will record higher sales during festive and weddings seasons. With some experience in journalism and advertising, launching a magazine or newspaper is a great business idea. However, you need to identify which type of readership you wish to target. You will require registration with the Registrar of Newspapers of India (RNI). Spa and massage services are very popular business idea in large cities of India. They operate from a medium sized store located in a residential or commercial area. You will have to find skilled masseurs to work. This is yet another place that automatically attracts customers. Fuel stations are traditionally known to be high profit spinners. You can offer round-the clock services. With sufficient investment, you can bid for franchise of a foreign Quick Service Restaurant (QSR) such as McDonald’s, Pizza Hut, Burger King, Subway and other international brands. Costs involved are on premises, livery matching the brand and trained staff, commissary equipment and furniture. After several years, India is once again witnessing a boom in different brands of beers. You too can enter this market by opening a brewery and launching your own, unique brand of beers. This is a very high investment industry. Malt whisky, rum, gin, vodka and brandy are all top sellers in India’s bustling liquor market. Almost every brand sells in India. You can enter this business provided you have sufficient funds. The BPO business is commonly called ‘call centers’ in India. While the trend was brought into India by American and European companies, there is a decline in foreign BPO centers now, However, Indian companies look out for BPO from indigenous service providers. Once again, a high investment business idea, multiplex cinemas at shopping malls or as stand-alone facility are very profitable. India is the world’s biggest producer of movies and you can benefit from this by screening top-of-the-chart blockbusters that draw crowds. Advising people about investments in shares, insurance, banking products and other financial services is something you may consider provided you have adequate knowledge about this field. You will require several licenses for this business as well as plush offices. You also need sound financial background. Anyone can provide interior decoration services for cheap. However, for exclusive offices and homes, very professional interior decorators are needed, who have keen sense of aesthetics and customer preferences. This is a fairly low cost business to begin but you will need a lot of experienced staff. Another business that requires minimal marketing but attracts high number of customer is a supermarket. You will have to invest in a fairly large premises, shelves and consumer products. Additional investment is on staff, cash counters, surveillance cameras and shopping trolleys. Either you can launch your brand of footwear or make high quality shoes, sandals and slippers that can be sold by a reputed company. The business requires high investment on good quality leather tanning equipment as well as machines to cut and sew leather, fix soles and other accessories. It also needs large manpower. Simple funerals are a thing of the past. Nowadays, people bid the final adieu to their loved ones in a grand style with professional funeral services. This includes expensive, sandalwood biers, bathing, embalming and dressing mortal remains as well as arranging priests and the like for conducting last rites. You will also need a hearse van to ferry the remains and mourners. Drawing ground water from sources near the Indian coast for salt extraction is fairly easy. However, grinding salt granules and fortifying the powder with iodine and fluorine requires expensive equipment. Despite, iodized salt is a product that can be safely produced for large markets. There are about two dozen major companies in India that make Ayurvedic medicines. However, the market in India is too large for all of them to meet customer needs. With the newly formed Ministry of Ayush, starting a company that makes Ayurvedic medicines is fairly easy. The business needs high investments. A small office, few cars modified to train learners and a few skilled trainers as employees is all you need to invest in to start a driving school. Additionally, you will require good contacts with the local traffic authorities. The Make In India initiative has almost every Indian manufacturer look at exporting products to foreign markets. Licensing is a must for this trade as well as good contacts with sea and air freight carriers. You can export anything from garments to machinery. Ship chandlers supply ocean bound vessels with food, beverages and other essentials. They are hired by shipping companies to replenish supplies on board a cargo or passenger vessel. This is a high investment but high profit business idea. It involves stocking adequate supplies of imported food, liquor, cigarettes, soaps, chocolate and almost every other need. With the number of international airports in India set to rise, you may consider a Duty Free Shop that sells everything- from imported stuff to locally made products. This is another high investment business idea but returns are equally high, especially if you locate your store in the departures lounge. Many people dream of making a movie or documentary but never get around doing so, due to fear of failure. However, you can make movies and documentaries that deal with public issues. Making a movie or documentary is not cheap by any means and will require sufficient finances. Keep exotic animals, birds, expensive breeds of dogs and cats for selling as pets. However, you will have to be adept at caring for animals to enter this business. Birds and animals from foreign countries command a high price in the local market. Global Positioning System, satellite radios, satellite phones, wireless sets can all be sold in India provided you have proper licensing from the government. Such communication equipment is bought by individuals and companies who also hold licenses to own them. The business requires high investments. You also have to verify credentials of your clients before selling any communications equipment. A couple of decades ago, this trade was rather rudimentary. In recent years, pest control has become very sophisticated and requires complex equipment and variety of pesticides that can effectively destroy anything from mice to termites. You will also need skilled staff. Here we are not talking about cleaning homes. Cleaning and hygiene services are generally used by industries and hospitals that are at high risk of bio-hazardous substances. It is a very lucrative business idea if you can bag a few contracts. Dealing with industrial and hospital waste requires special equipment, skilled staff and proper facilities for disposal. Finishing schools are common in Western countries but few in India. They train students about etiquette and other skills necessary for the elite. By hiring skilled trainers, you can open a niche, finishing school at some exclusive location in India. Hiring a storey in a building and partitioning them for use by doctors of various specialties can help you open a multi-specialty clinic. These clinics provide all types of medical consultation under one roof. As several doctors cannot afford to open their own clinic, they prefer working at such locations. Making fertilizers on mass scale is an industry that gets subsidies and other benefits from the Indian government. This is a small business idea but very high on investment and labor. You will need lots of machinery and raw material to produce commonly used fertilizers. Most ambulances in India are nothing but a van fitted with gurneys to carry patients and accident victims. You can launch a superior service by importing vehicles used for ambulances that are complete with life saving equipment and run by paramedics. Custom made furniture is something that is in high demand among households and corporate clients. You can open a factory that makes such exclusive, custom made furniture. This business requires moderate investments. With the focus now shifting to environmentally friendly vehicles, a lot of people are buying electrical scooters. India does not have any significant producer of these electric scooters. You can easily crash into this growing market. Suitable for locations where there flowers and fragrant herbs are available abundantly, the perfumery business involves extraction of scents. The oil or alcohol based scent concentrates sell at a premium in the export market. Manufacturing ornamental lamps and chandeliers is very intricate and requires skilled craftsmen. Additionally, you will need to invest on machinery to cut and polish glass and crystal. Despite, this is a profitable business idea for both- domestic sale and exports. Why not? Flying schools actually do not cost too much to set up. You will require flight simulators and skilled instructors in flying. 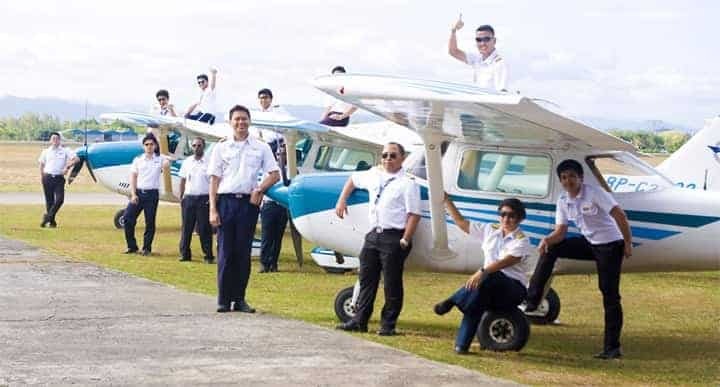 Radar and on-hands training on aircraft is generally taken by students separately by hiring the plane and a trainer as well as paying for time to learn about radars and navigation. Just prepare a list of the business ideas that you liked from the list and shortlist on 1-2 ideas that you can start in next few days. If you have any query with any business ideas, then write through comment & we will try to give you a solution. Very useful information . thanks. I will pick something vb from this. Thanks a lot, sir realy you suggest best categorize business list. Good ideas and useful information. How about website online? Excellent information . Thanks for guiding.. I like the concept of tiffin service. May be i will implement that idea with my friend. Thanks for showing right direction with these helpful ideas. This is very helpful information provided, so needy can get the perfect guidance about his interest, ability of work, funds and the require all the things. Dear all good afternoon, I need to open a good market valuable business for the my son. in dehradun , please advise? I read the blog for business idea so that Kaff is big brand company in India. you can visti to our head office then i tell you best business ideal. Sir, I want to start Liquor Delivery business. Please inform the requirements such as license, space, contacts, advertisements etc. Please reply. Please give us the detailed knowledge about the cleaning of hospitals n industries, what am v need to enter into this business. I THINK YOUR BUDGET IS NOT ENOUGH TO DO IT. IF YOU HAVE REGISTERED LAND TO START A COMPANY THEN IT CAN POSSIBLE. IF YOU WANT TO HIRE PLACE ON RENT THEN I THINK IT IS NOT A GOOD IDEA. SO I ADVICE PLEASE CHOOSE YOUR OWN PLACE FOR IT. Please keep me notified of such. Good Research and useful information. Keep doing this good work of helping people to start new venture. Thanks. Need contacts so that I can start a call centre or data entry work. I have a space in rural maharashtra where labor is cheap and no attrition. I have running stationery shop. Living in Gujarat. Totally Commercial State. After job I Stared Books , Stationaries Bussiness. For Other Bussiness Between Rs. 50,000 to 1,00,000. Suggest Good Bussiness for earning Profits. I am P.G in Management. Also job Experience. I enjoy your informational article,. I really want to try few ideas out off this,. Very good and really thank ! Thank you sir valuable suggestions. One of the mos useful article. I have around 5 lacs with me and was looking for some business ideas under this budget. I read so many articles but was confused. You have listed so many ideas that I can start right now. Thanks for explaining in so details. I’m looking to start a business in Warangal, Nalgonda (telangana) with a investement of rupees 150000/-. Please suggest me which is profitable and booming business. Tanks ….. 4 the help. Very good. Maximum r know. But some new but not in detail. I want to about How can Patanjali. Indirectly purchase the agro products directly from farmers. Or how can grow the product in my land which will purchase by PATANJALI. Very interesting article. Would you have any detailed workings for a Poultry Farm. If you do please share. Wow. This List is Huge. appreciate your Hard work behind the preparation of this Huge list. The business ideas in the article is awesome. I think this post covered almost all types of job opportunity. Keep up the good work. Cheers.